In the summer of my grade 8, I made sure that if anyone was going to be stuffed in a locker, they would at least get stuffed inside a pretty box. 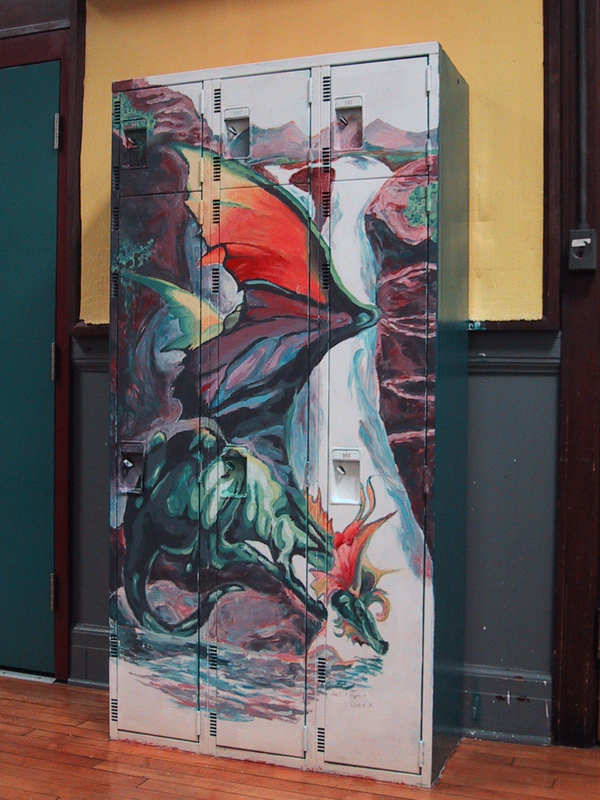 Ergo, fantasy locker murals! 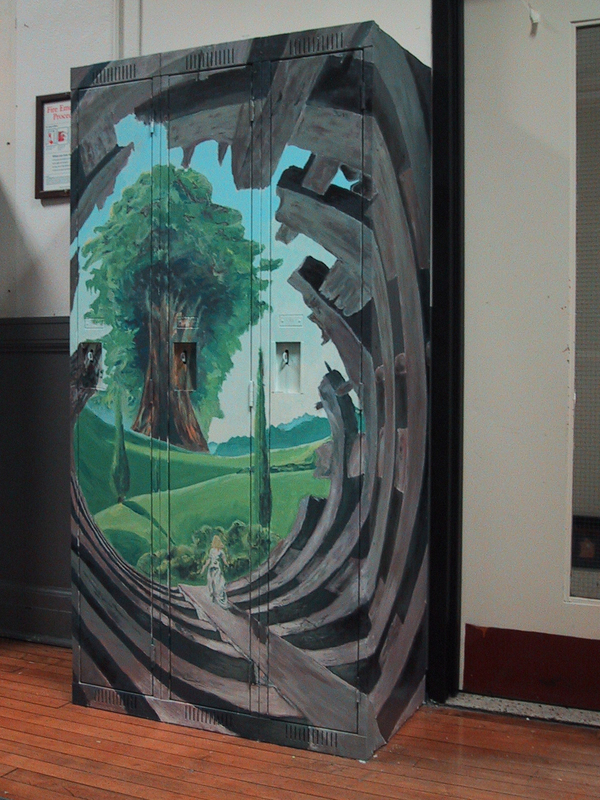 Both took altogether 80 to 90 hours to complete painting. Inexpensive acrylic wall paints don’t give the brightest shades and layered blending at times, but it is fairly durable. The fantastical tunnel in ruins was especially fun to paint, though the chromatic dragon was much quicker to complete. Dragon was sourced from Julie Bell’s fantastic fantasy paintings, which I’m ever an adroit fan of. I’m afraid I don’t remember the artist for the tunnel painting. Didn’t get paid for this because I was in grade 8, and the school puts so little in creative arts besides.